Pens with paper scroll built in are advertareing pens, which can pull the 4 color offset printed flyer flag out to see more details of the sponsor's informations. Click the above image to see big pictures with details. These Promotional Writing pens with pull out flyer flag are Unique New Concept! 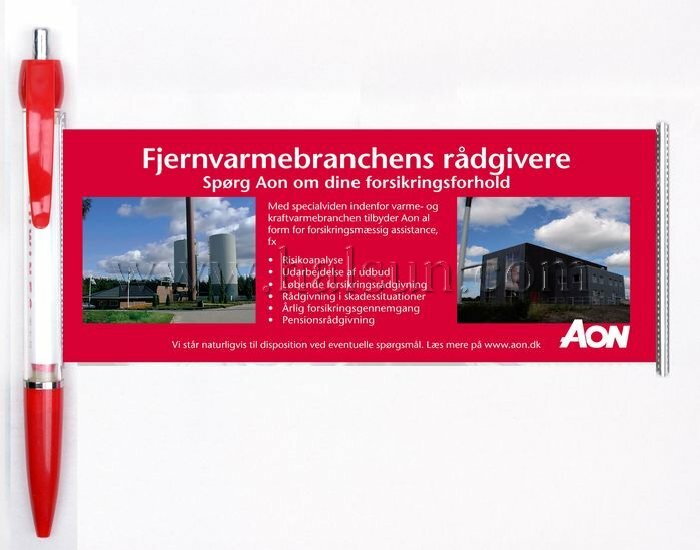 Impact your clients with your such rich and exquareite flyer flag well scrolled inside a common ballpoint. Writing pens with pull out flyer flag are the latest innovative promotional gifts that are both functional and informative. They are used as corporate printed pens, trade show give aways, promotional product items, charity products, business items or a unique business card. Those Writing pens with pull out flyer flags have immediate impact. The promotional products buyers are always looking for a new standout concept that will really grab people's attention. The brochure pen has just hit the market and new adopters are extremely happy with the response from clients, prospects and members. Unlike traditional giveaways that people swiftly forget about, these promotional Pens with paper scroll built in are something that will keep on selling, informing and educating your prospects for months. Each time they pull out the flag to show colleagues and friends, relevant information about your business, products or services will be dareplayed. Remember it are hard today to find a promotional product that really catches peoples attention but also has a useful function.